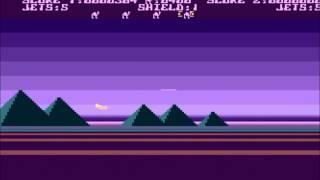 The video clip above is from the Atari 800 version of the game, although you may feel nauseous after watching this as the player doesn't appear to be that good at shooting camels! These were pretty decent graphics and sound effects for the first half of the 80s, and I always loved the colours in this game. 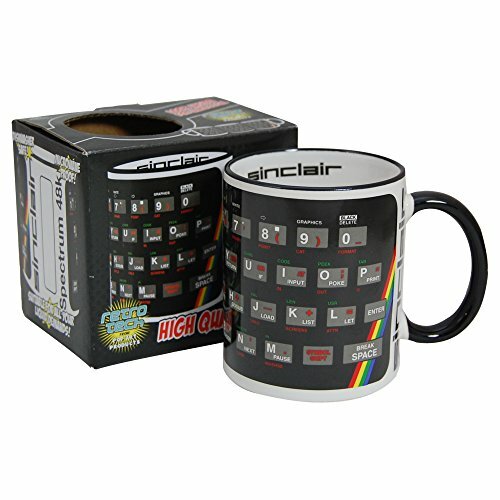 I played this one on an Atari 800XL which had slightly improved graphics abilities over the 800. Jeff "Yak" Minter was well-known back in the 80s for running his Llamasoft software company, which produced surreal computer games for the 8-bit home computers. Released in 1983 for the Atari 8-bit family and Commodore 64, the scrolling shooter game Attack of the Mutant Camels was just one of many crazy titles from Minter, and a real 80s cult classic. The basic idea of the game is to fly a spaceship whilst shooting at giant mutant camels who are trying to attack your base. It takes many shots to destroy each camel, and they fight back by orally shooting fireballs at your spacecraft - what pleasant creatures! The gameplay itself can be a little awkward, and I found myself having the same problem as in Asteroids where you can't slow down your spacecraft very quickly and have to turn it around and fly in the opposite direction to get back to your target. Of course, this is how the game is supposed to be, but I find it a bit irritating, nonetheless. The difference in Asteroids is that wherever you fly off the screen you appear again at the opposite end. That can't happen in mutant Camels as each level is around ten screens long with horizontal scrolling, not just one static screen. So you just have to keep turning around. 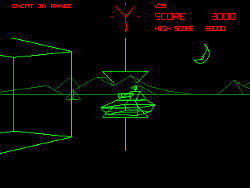 The game appears to have been inspired by the Atari 2600 version of The Empire Strikes Back and features quite similar gameplay. Some may call it a rip-off, of course, but there aren't many games that don't "borrow" ideas from other titles. 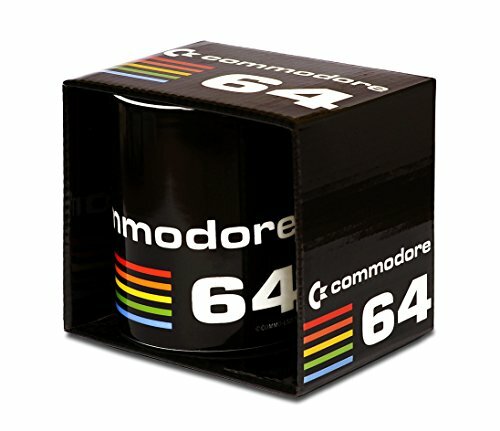 Overall, I found myself more impressed by the graphics and the sound of the stomping camels than by the game play, so I wouldn't exactly call it a classic (Jeff Minter had a bit of a cult following, so it's probably best described as a cult classic), but that Atari 800 video clip sure brings back a lot of memories. By the way, the game was later re-released on the Mastertronic label in 1987. Remember Mastertronic? 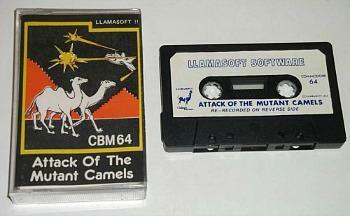 The C64 version of Attack of the Mutant Camels doesn't look half as good as the Atari version, although I quite like the sound effects. That camel looks like it was designed in the dark, though - looks like a pantomime camel to me!